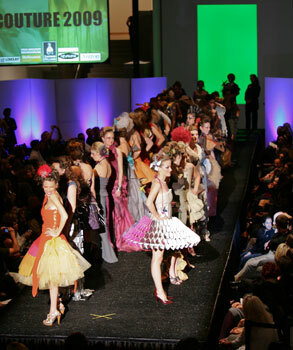 Come support AIA Arizona’s team in the IIDA Couture competition on Thursday, February 11, 2010 at 6:00p.m. at the Phoenix Art Museum. Tickets must be purchased by January 29, 2010 to receive them in the mail or you my purchase tickets at the door for a higher price. Come and enjoy couture fashion made from unconventional materials. Watch the video below to get a taste of what is to come!